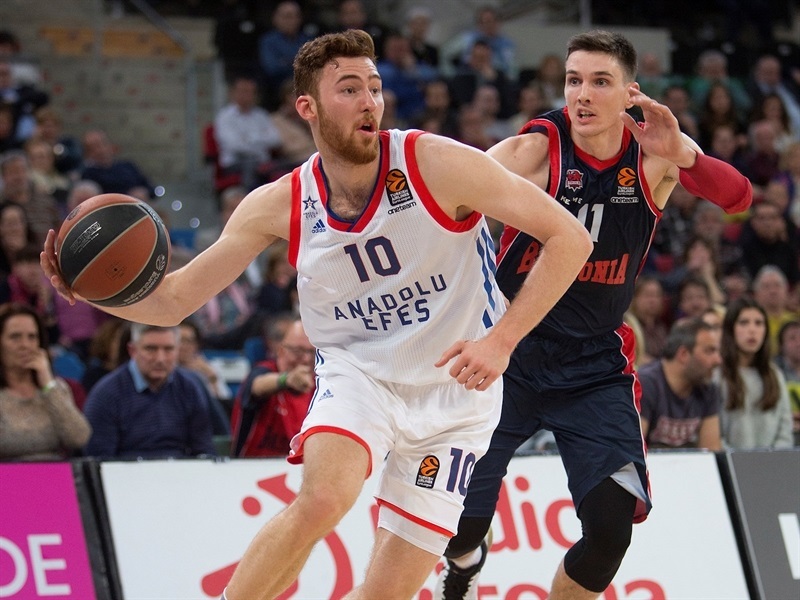 Anadolu Efes Istanbul finished its Turkish Airlines EuroLeague season with a prestigious road win by downing Baskonia Vitoria Gasteiz 79-81 on the road on Thursday. 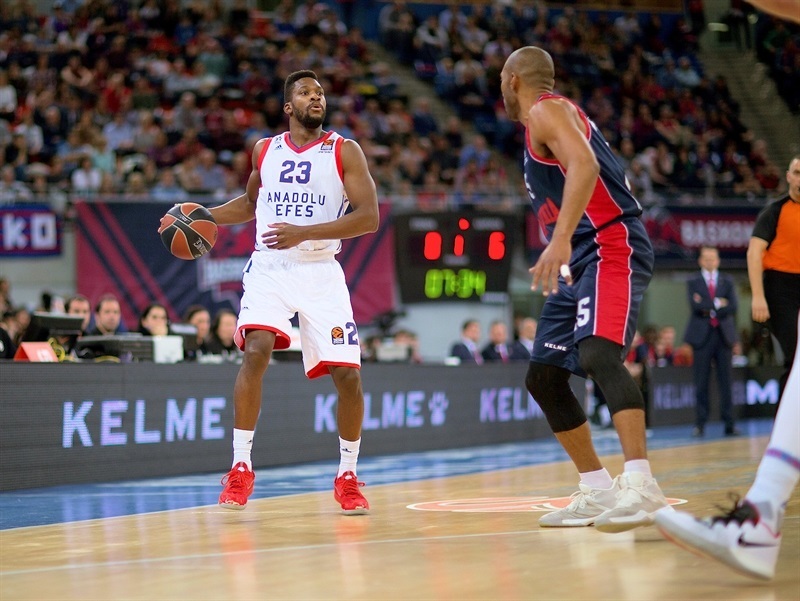 Efes finished the EuroLeague regular season with a 7-23 record. 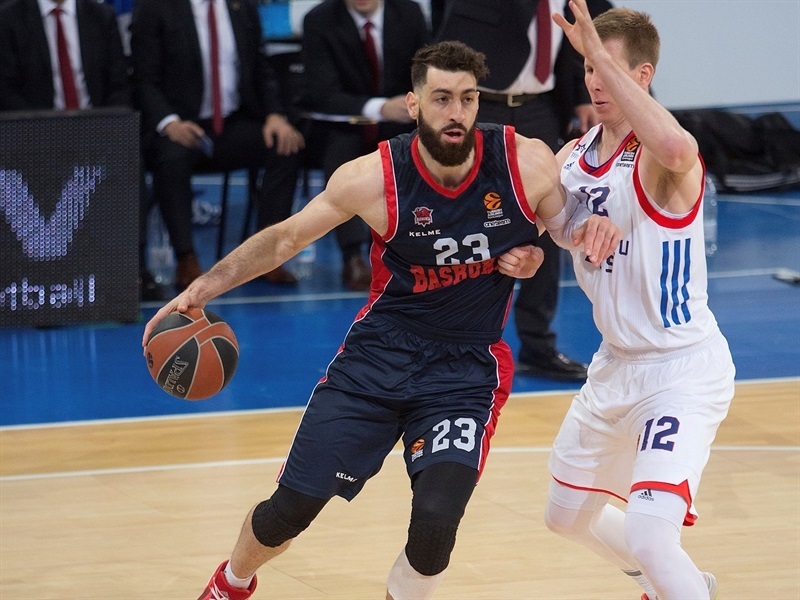 Baskonia was seventh overall with a 16-14 record and is set to face Fenerbahce Dogus Istanbul in the Playoffs. Errick McCollum led the winners with 21 points on 9-of-10 two-point shots. Brock Motum added 16 while Bryant Dunston had 10 for Efes. Vincent Poirier and Toko Shengelia led Baskonia with 17 points apiece. Rodrigue Beaubois and Matt Janning each had 10 while Jayson Granger dished 11 assists for the hosts. 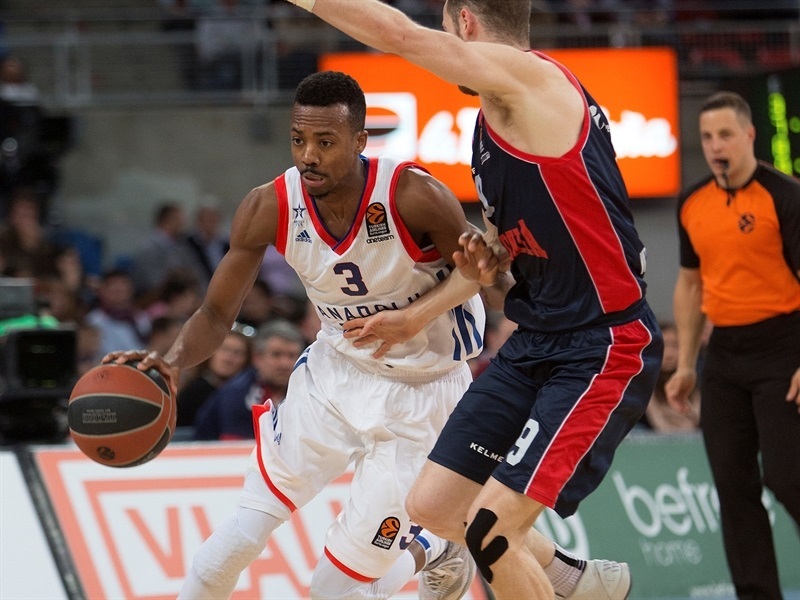 Shengelia and Marcelinho Huertas shined early and a jumper by Beaubois gave Baskonia a 20-13 lead early in the second quarter. 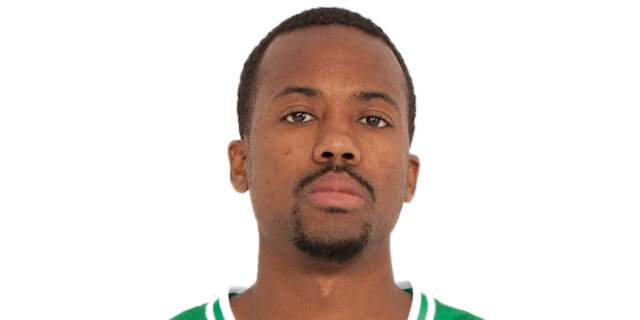 Efes found a go-to guy in McCollum, who joined forces with Motum and Vladimir Stimac for a 32-33 edge at halftime. Motum and Stimac fueled a 0-10 run right after the break and an unstoppable McCollum allowed Efes to keep a 51-60 margin after 30 minutes. 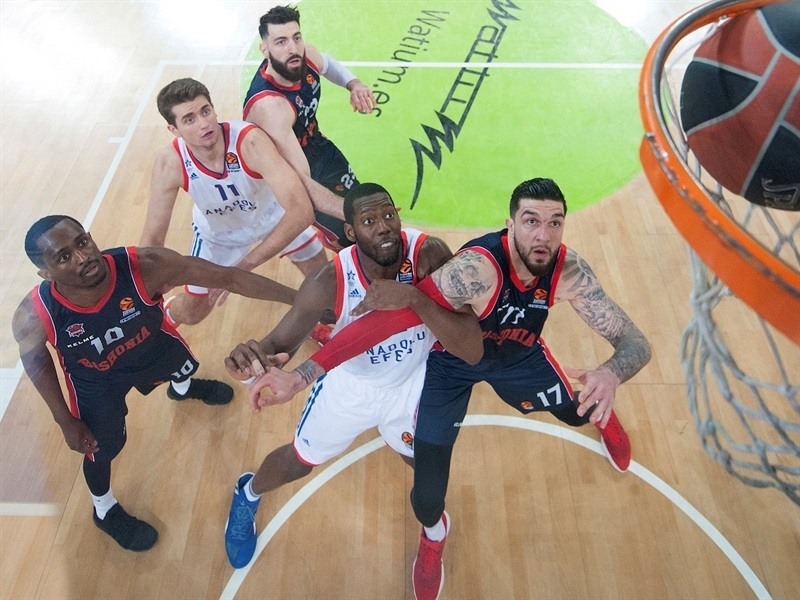 Poirier, Shengelia and Huertas allowed Baskonia to briefly get the lead, 77-76, but free throws by Toney Douglas and Krunoslav Simon restored a 77-80 Efes edge with 10.9 seconds left. 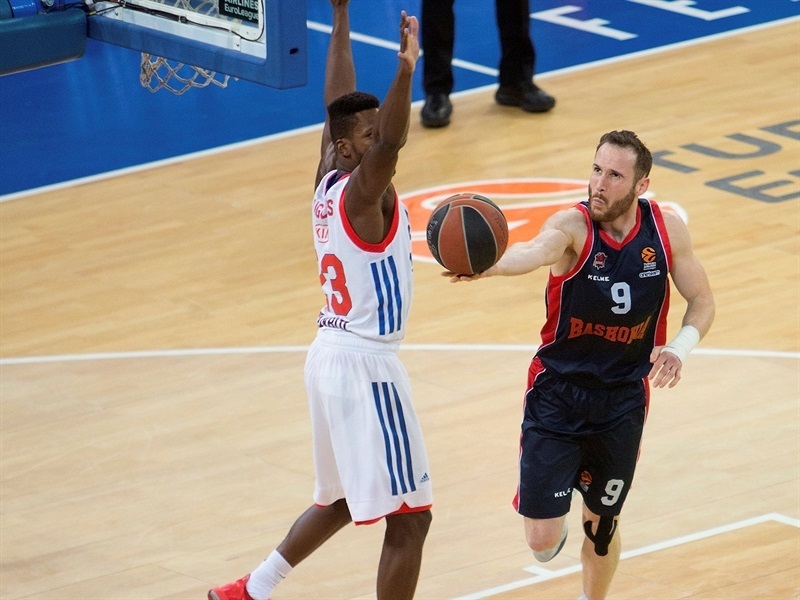 Baskonia had a chance to win the game but Huertas missed around the basket at the buzzer. Janning struck from downtown early and Poirier dunked but Motum and Stimac helped Efes tie it at 6-6. Granger followed a layup with a floater and Shengelia scored twice in the paint for a 14-9 Baskonia lead. Motum scored again and Birkan Batuk added a jumper but Huertas hit a floater and fed Johannes Voigtmann for a fast break slam that gave Baskonia a 18-13 lead after 10 minutes. 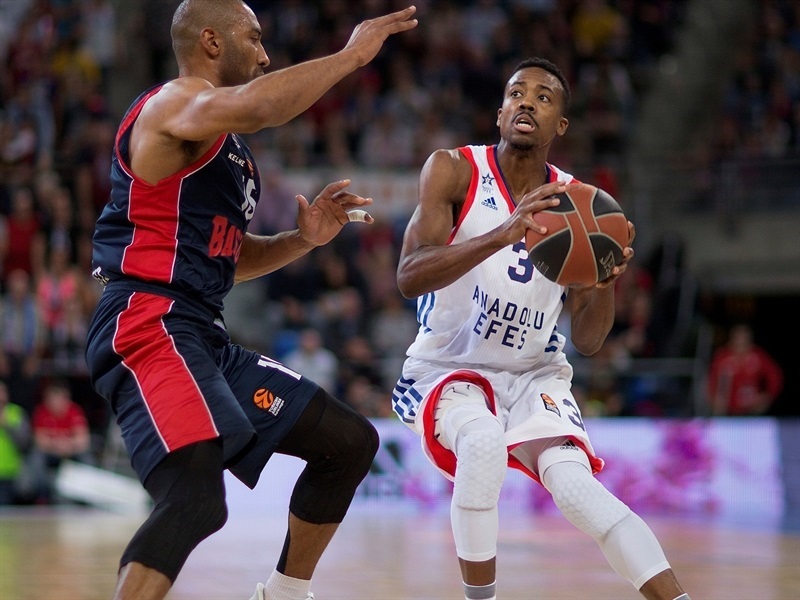 Beaubois hit a jumper from the right corner early in the second quarter but McCollum had five points in a 0-6 run that brought Efes as close as 20-19. Poirier dunked again but a floater by McCollum and free throws by Douglas and Dunston gave Efes a 22-25 edge. Janning and Shengelia buried consecutive jumpers and Patricio Garino followed a coast-to-coast layup with a put-back basket but Motum and Stimac kept the guests in charge, 30-31. A layup by Shengelia and a floater by McCollum fixed the halftime score at 32-33. Voigtmann scored down low after the break but Stimac took over with a layup-plus-foul in a 0-10 Efes run in which Motum and Douglas each hit a triple for a 34-43 lead. Poirier tried to change things with an alleyoop slam and Garino added a dunk-and-foul but Batuk kept Efes way ahead, 40-46. Beaubois and Huertas made it a two-point game, 44-46, but a dunk by Dunston sparked a 0-8 run which McCollum capped with consecutive baskets that made it a double-digit game, 44-54. Poirier dunked again and Granger added a triple but Onuralp Bitin and McCollum restored a 51-60 Efes margin after 30 minutes. 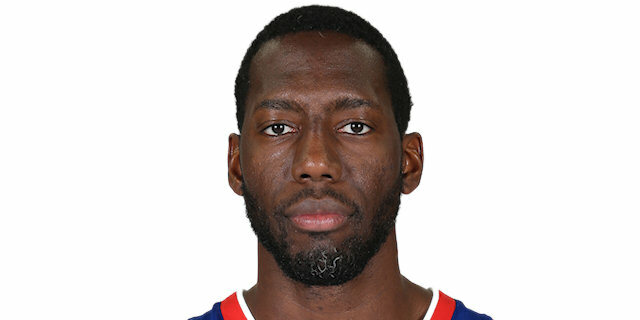 Poirier took over with an alleyoop slam, Beaubois added a fast break layup and Janning bettered McCollum's jumper with a triple for a 58-62 Baskonia deficit. Dunston stepped up with a dunk, Bitim sank his second three-pointer and McCollum soon gave Efes a 62-69 margin. Shengelia followed a layup with a three-pointer and a jumper by Poirier tied it at 69-69. 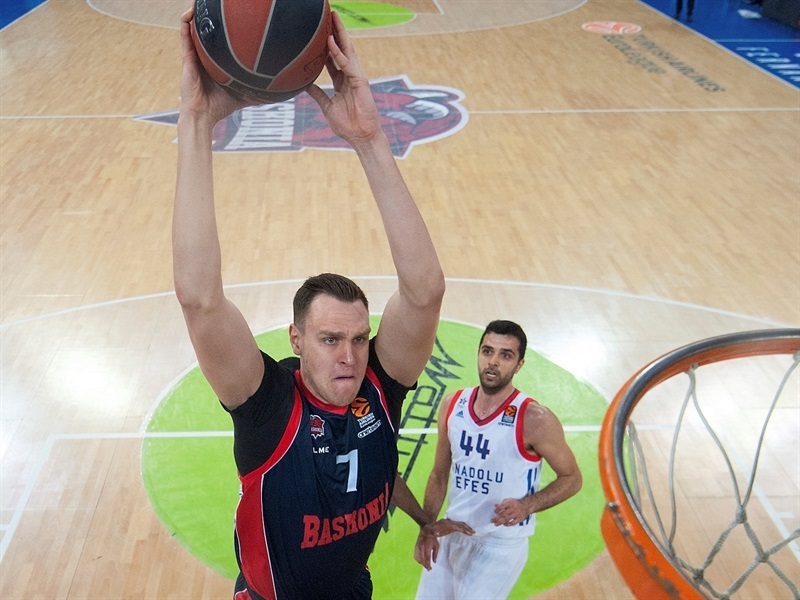 McCollum hit another jumper and Motum bettered Poirier's dunk with a triple but Shengelia kept Baskonia within 75-76. 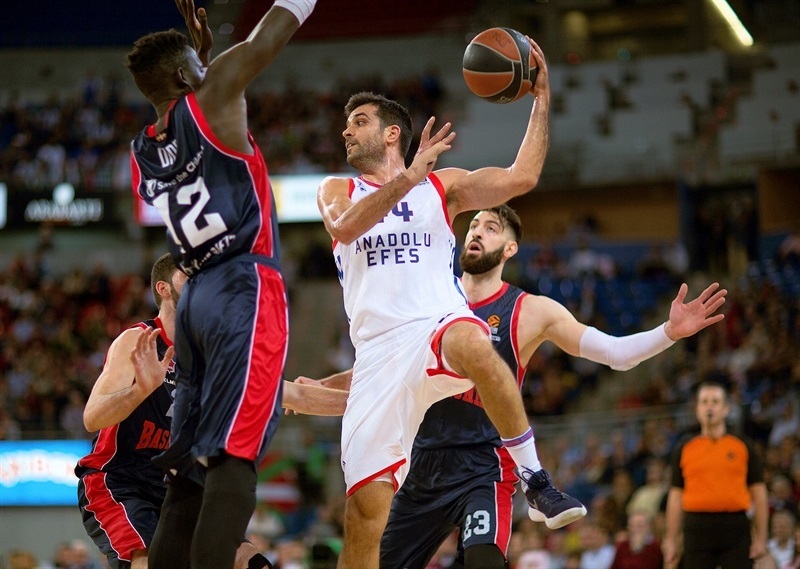 Huertas completed Baskonia's comeback with a layup but free throws by Douglas gave Efes a 77-78 edge with a minute left. Janning missed from downtown and Simon hit foul shots for a 77-80 score with 10.9 seconds remaining. Beaubois hit free throws and Baskonia got the ball back but Huertas missed around the basket. Douglas sealed the outcome from the foul line. "We cannot be catatrosphic now. Losing is part of the game and it would be a mistake to stop and think about the opportunity we missed, or that everything is a mess. 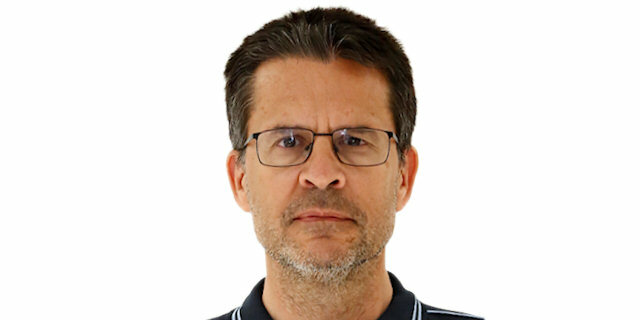 If anyone took for granted that we would win by 30 points because we are Baskonia, I understand that he will be disappointed, but we cannot take things for granted. We didn't play well and didn't have a good rhythm, and we didn't managedto play good defense on McCollum. We didn't have a good day in three-point shots, but I don't want to think that if we had scored the last basket, everthing would be fine. There are always things to improve… Nobody should think that if we had been sixth, we would go to the Final Four for sure, but also nobody should think that we don't have any chances now." "It was a strange game for us because we lost our three important players, but we played our most aggressive game, with a lot of energy. We played with good energy, starting with good defense in the first half. After many games in the EuroLeague, this was the first time we played with this level of aggressivity. And then in the last quarter, we attacked smart. Errick McCollum took the ball and we attacked very well. We used the ball and took the victory. We closed the EuroLeague with a victory after many, many lost games, so it is OK. The sensation was very bad for Anadolu Efes this season but anyway, Anadolu Efes is a traditional club, a strong club, and some mistakes in the beginning of the season, some bad luck for the injured players made it lose the balance. 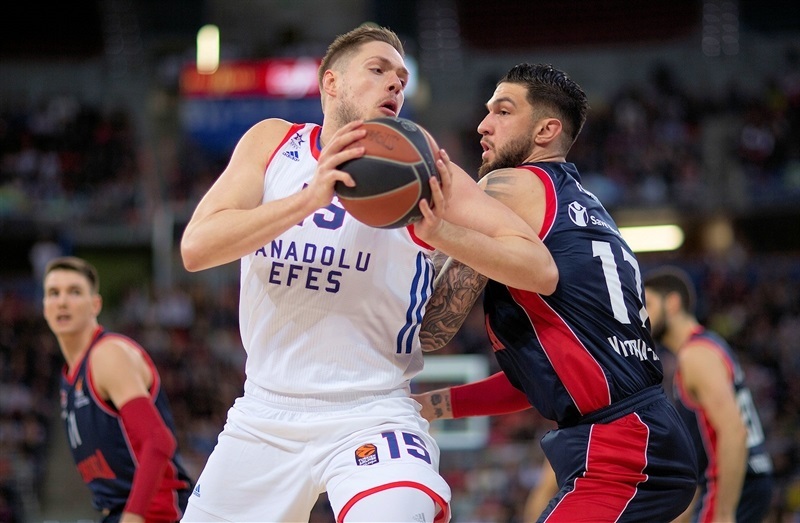 Next year, for sure, there will be a lot of changes, mentality changes, and Efes will be again a team competing for the Final Four and the EuroLeague title. This is for sure because I am sure that this season our fans are very upset, but this summer, we will work much better." "This game was, from the outside, it looked like it wasn't important for us. 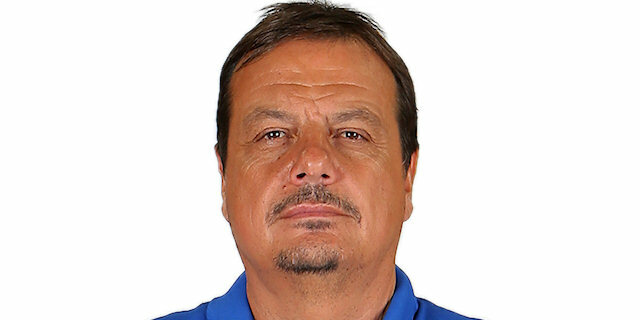 But it was, in my opinion, in our team's opinion, important for us to start working on some things that we need for the remainder of the season in the Turkish League. It was our last EuroLeague game and we wanted to leave on a good note. Defensively, we came out very aggressive, pressuring the ball. We helped each other, played together on both ends, and towards the end of the game, we did the right things that helped us get the win." "We have been struggling a little bit and needed something like this to get us going, a little momentum. The season is not over and we have to show character. Even when the game doesn't count, you have to come out and fight. We are still playing for something in the Turkish League, so it is important that we bring that effort. Sometimes you have your ups and downs, sometimes you have injuries, sometimes things just don't come together like they should. I think we have a good roster, we just lost some close games and after that, it kind of spiralled out of control. I hope we can recover in the Turkish League and focus on trying to get the championship there."